Elite Wife = AIDS Vaccine? In a previous article, I proposed the possibility of finding a cure for cancer within someone, and now, according to a Reuters article, an "Elite" wife many hold the secret to an AIDS vaccine! 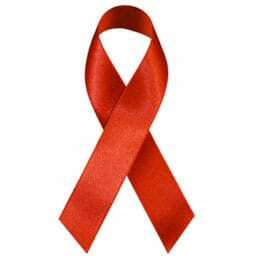 WASHINGTON (Reuters) – A woman who has never shown symptoms of infection with the AIDS virus may hold the secret to defeating the virus, U.S. researchers said on Tuesday. Infected at least 10 years ago by her husband, the woman is able somehow to naturally control the deadly and incurable virus -- even though her husband must take cocktails of strong HIV drugs to control his. She is a so-called "elite suppressor," and studies of her immune cells have begun to offer clues to how her body does it, the team at Johns Hopkins University in Baltimore said. "This is the best evidence to date that elite suppressors can have fully pathogenic virus," said Dr. Joel Blankson, who led the study. […] the couple has been monogamous for at least 17 years, Blankson said, and tests show they are infected with the same strain of virus. What is different is the immune system of the wife, who cannot be named for privacy reasons. "that’s a good sign in terms of developing a therapeutic vaccine," Blankson said. Such a vaccine would not prevent infection but might be used to treat patients. Tests showed that immune cells known as CD8 T-cells from the wife stalled HIV replication by as much as 90 percent, while the husband’s T-cells stopped it by only 30 percent, Blankson’s team reported in the Journal of Virology. Her virus has also mutated in apparent response to this immune attack, becoming weaker, while her husband’s virus has remained strong. "Elite suppression offers clues to vaccine researchers on many fronts: how CD8 killer T-cells can attack HIV and how a stronger immune response can force HIV into a permanent defensive state," Blankson said. "We are trying to figure out exactly how the T-cells work in her to inhibit viral replication," he added. "We are just trying to see what kind of cytokines they make." Cytokines are immune system signaling proteins. One thing the researchers have noticed is that while the husband’s T-cells make just one, called gamma interferon, hers made both that one and another called TNF, or tumor necrosis factor. That cannot be the whole story, though, because AIDS researchers have tried using such immune system proteins in patients and they did not work well. And her immune cells seem to make the response only when they encounter the virus. Another clue: the woman may have unusual activity in her human leukocyte antigen system, or HLA, Blankson said. This important component of the immune system helps recognize antigens -- protein identifiers -- of enemies such as bacteria and viruses. Elite Wife = AIDS Vaccine? was published on Wednesday, August 13, 2008 at 10:47am MDT by Daniel Menjívar and last updated on April 11, 2018 at 9:30pm UTC .